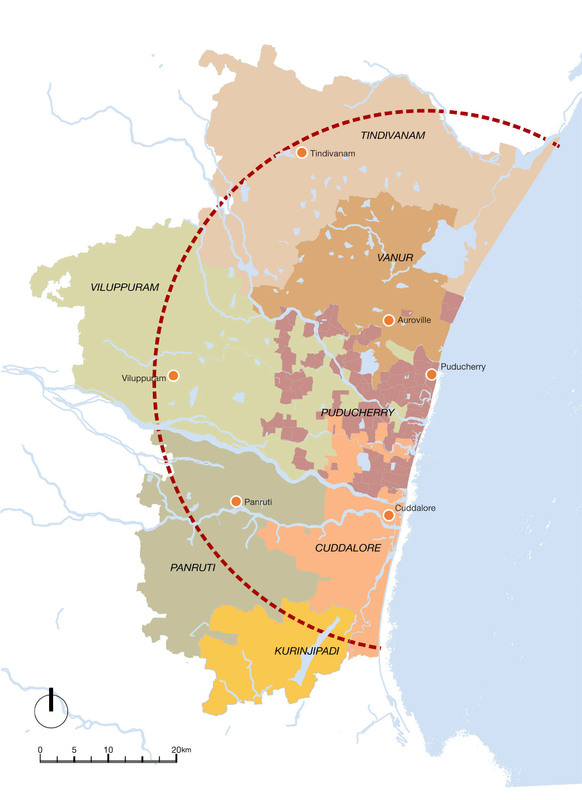 Puducherry and the surrounding Tamil Nadu region are very closely connected to each other through natural resources (water, ecosystems, coastline), climate, historical links, culture, religion, language, tourism, trade and business, and transportation. This tightly knit connection calls for a Regional Plan that benefits the entire region. The development trend so far has focused primarily on urban areas. This new Regional Plan would help realize the full potential of the region in terms of trade and economic growth, connectivity and infrastructure, protection of natural resources, ensuring water security and restoration of inland and coastal ecosystems.